From its beginning in October 2010, SA TEXTILES has endeavoured to establish itself as the market leader in the supply of high quality and cost effect fabric to the commercial textile sector. The business compromises a staff complement of 50 managerial, administrative and operational staff members. 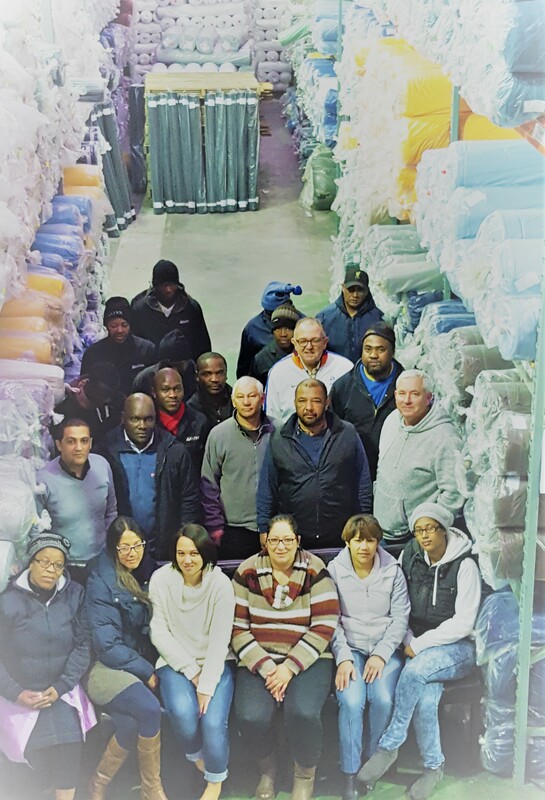 Many staff members have been part of the SA TEXTILES family since the inception of the business and have a shared vision that ensures that the business continues to grow from strength to strength. The SA TEXTILES directors, comprising Gary Zurnamer, Fairoz Osman, Andrew Zurnamer and Denzil Fredericks, share a wealth of experience in the retail, textiles and accounting sectors and the synergy created by their diverse backgrounds and common experiences create a formidable and power driving force within the company, that is backed up with an outstanding team that not only shares their common vision but also their passion for the retail and textiles industry. From humble beginning in his family textiles business, Gary Zurnamer has over 28 years' experience in the textile sector and has vast experience in importing and wholesaling. Fairoz Osman, brings his 22 year retail experience, derived from his intimate involvement in the Campwell Hardware group, to the table and his acute business acumen is the driving force behind many of the strategic decision taken by the business. Andrew Zurnamer, a certified Chartered Accountant, with vast experience in the accounting sector, provides the necessary financial nuance, that ensures that the long and short terms strategic decisions taken by the business is soundly aligned to good corporate governance and medium and long term economic forecasts for the economy. Denzil Fredericks, the administrative glue that holds everything together, is the day-to-day operational guru that ensure that juggernaut that is SA TEXTILES continues to operate smoothly every day and maintains it leadership position in the commercial textiles sector.